Lawsuits filed against 3M have alleged that the company’s Combat Arms Ear Plugs — used in combat by thousands of veterans and active duty military personnel — may cause serious and permanent hearing damage. Veterans and active duty military personnel who used 3M’s yellow and black earplugs during combat and suffered hearing loss or other auditory disabilities may qualify to file a lawsuit and seek compensation for their injuries. ➢ What are 3M’s Combat Arms Ear Plugs? Combat Arms Ear Plugs Version 2 (CAEv2) was developed by Aero Technologies, which was acquired by 3M in 2009. The ear plugs were designed to protect soldiers and other military personnel from hearing damage caused by gunfire, explosions, bombs, aircraft, or other loud sounds in combat. Combat Arms Ear Plugs were used by thousands of military personnel between 2003 and 2015; between 2003 and 2012, they were the only earplugs supplied to soldiers by the U.S. military. The Combat Arms Ear Plugs are recognizable for their distinctive yellow and black dual-ended shape. When worn with the black end in the ear, the product functions like normal earplugs; when worn with the yellow end, the ear plugs are designed to allow speech and other low-level sounds to be heard, while still blocking out louder noises. ➢ Why is 3M facing lawsuit over the ear plugs? Lawsuits filed against 3M have alleged that the Combat Arms Ear Plugs are ineffective at reducing loud noises, putting soldiers who use these products during combat at risk of serious hearing damage. Tests performed by Aero Technologies before 2003 found that the Combat Arms Ear Plugs were less than half as effective at reducing loud noises as the minimum noise reduction rating (NPR) required by the U.S. armed forces. Despite these findings, Aero and 3M falsely certified to the military that the ear plugs met government safety standards. In addition, tests have found that the Combat Arms Ear Plugs were too short to be properly inserted into the ear canal. As a result of this design defect, the ear plugs could become loose in the ear canal, exposing soldiers who used them to additional risks of hearing damage. ➢ What injuries have been linked to the ear plugs? 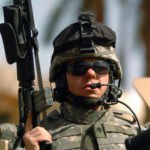 Thousands of soldiers or other military personnel who used the Combat Arms Ear Plugs in combat zones have been diagnosed with partial or total hearing loss. Many veterans or active duty personnel have also been diagnosed with tinnitus, a ringing or buzzing in the ears that could be a sign of hearing damage. I served with the U.S. Army in Iraq from 2006 to 2007, and in Afghanistan from 2008 to 2009. The Army equipped me with 3M’s Combat Arms Ear Plugs to protect my hearing. But after I returned from combat, I was diagnosed with hearing loss. ➢ Who is eligible to file a lawsuit? Members of the U.S. Army, Navy, Marines, Air Force, and other veterans or active-duty military personnel who suffered hearing damage after using 3M’s Combat Arms Ear Plugs may be eligible to file a lawsuit. If you used 3M’s Combat Arms Ear Plugs during military service and were diagnosed with hearing damage, you may qualify to file a lawsuit. The attorneys at Hissey, Mulderig & Friend are currently investigating cases involving hearing loss among veterans and soldiers who used 3M’s ear plugs. To receive a free legal consultation and to find out whether you may be eligible to file a claim, contact our offices by calling toll-free at 1-866-275-4454, or by filling out the free case evaluation form located on the right side of this page. What years did you serve in the military?